Tammy Carrasco and Sarah Levitt have been working collaboratively since September 2014 and since then received a Columbus Dances Fellowship from the Greater Columbus Arts Council for their duet, Semi-Formal. Carrasco, a dance artist previously based out of NYC and Philadelphia, joins the dance faculty at SUNY Brockport in Fall 2015. Levitt, a former dancer with Liz Lerman Dance Exchange from 2007-2013, will complete her MFA from The Ohio State University in 2016. Together, Levitt and Carrasco choreograph and curate shows in long-distance collaborations. They have cumulatively received numerous awards from The Ohio State University, such as University Fellowships, Alumni Grants for Graduate Research and Scholarship, and Semester Funding Initiative grants to support their choreographic work. 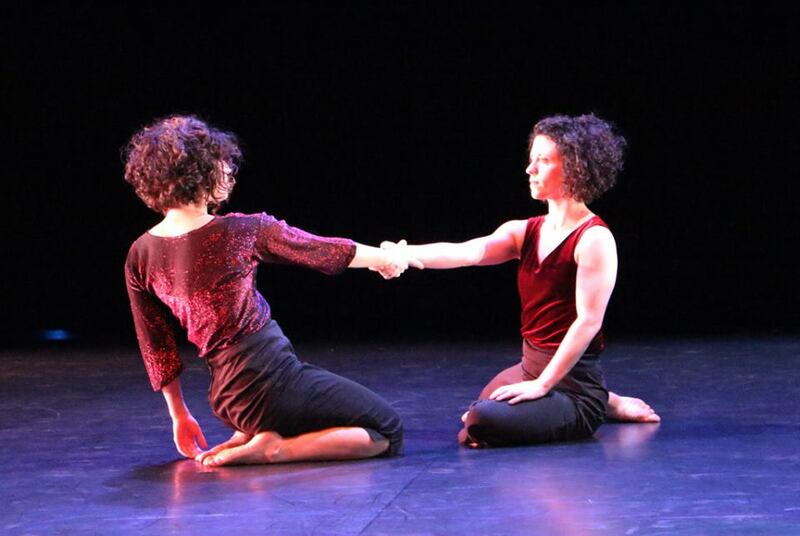 Carrasco and Levitt were selected to present work at OhioDance Festival in May 2015 and are thrilled to present their work alongside many talented artists from the Columbus and Rochester areas at the First Niagra Rochester Fringe Festival 2015, Geva Theatre Center. To purchase tickets for Feathered Landing: A Convergence of Dances, visit here.